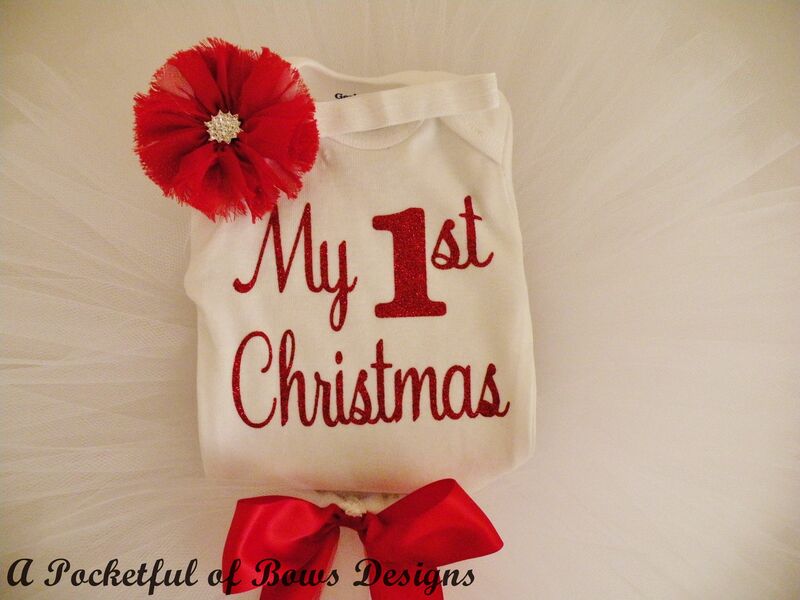 Baby girl 1st Christmas tutu outfit in red and white. 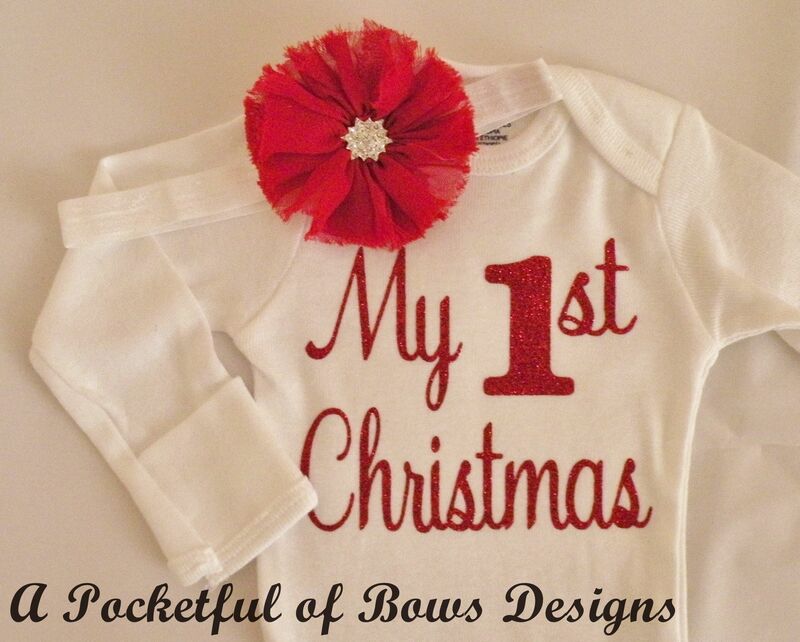 The body suit has My 1st Christmas in glitter red. The headband is white and has a red flower with a gem center. 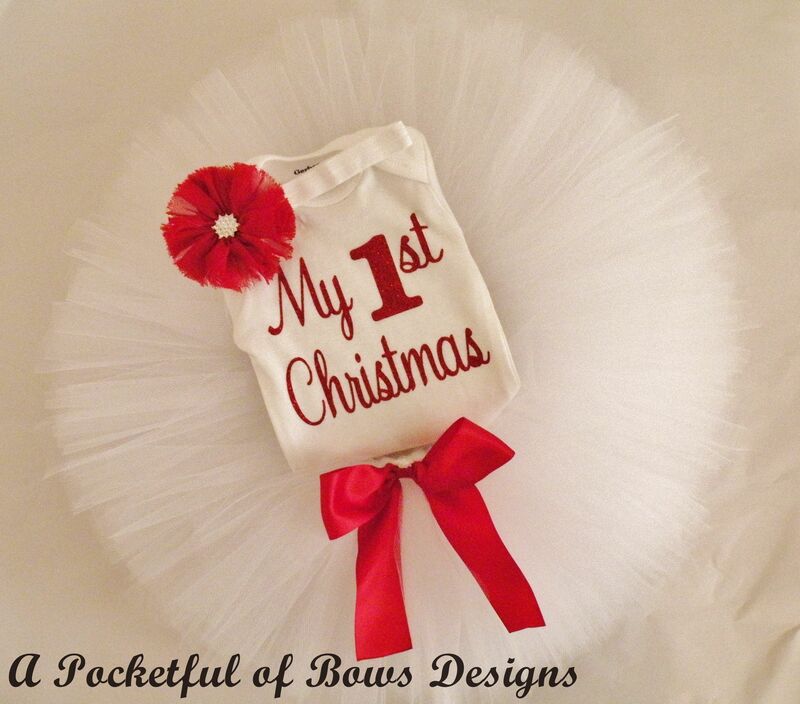 The tutu skirt is white with a red satin bow. The skirt is tied and sewn so it won't come apart! ***Long or Short sleeves available.